Lansing Mayor Virg Bernero sanctuary city clown show ensues. A video with Virg is a great place to catch a giggle when going into the weekend. I am not sure how that works. Certainly there are mayors and community leaders around the country who have opted to not rattle the tree, but quietly oppose tighter immigration enforcement, But those folks are not opting for the news cycle in the process. In fact many might be trying to figure out how to hide the mounting problems they have due to the undocumented invasion we are facing. Virg is off-the-hook pro-antagonist to be sure. And I gotta tell ya, when Virgil goes off on how the police are seen as an “occupying force” ?? Whooeeee! BATA--here in Grand Traverse and Leelanau Counties they're coming at us with a 50% millage increase. That means, in addition to the state, federal and local taxes I already pay, BATA wants to tax a fourth time to my property tax. And if this ain't enough, the Millage has a TIF (Tax Increment Financing) to share this WEALTH with private property owners in the form of DDA's etc. There is so much wrong with the above and BATA--and it's the SAME WRONGS. April 18th is TAX DAY. We need to show our disgust. I was doing more eye-rolling than giggling after I watching this clip. Everything that I've heard was the standard speaking points being used all across the Midwest when sanctuary cities were called on the carpet (i.e.we're not into doing the work of the federal government, it's safer for the community if we don't ask, etc, etc, etc). Even here in Detroit, they were doing the dog-and-pony show for the simpletons, parroting the same arguments. But wow! Look at where Detroit cops ultimately found themselves just a few short days later! But if outgoing Mayor Bernero doesn't want to do the job he was elected to do, I don't see any reason why they should get one cent from Michigan Taxpayers. 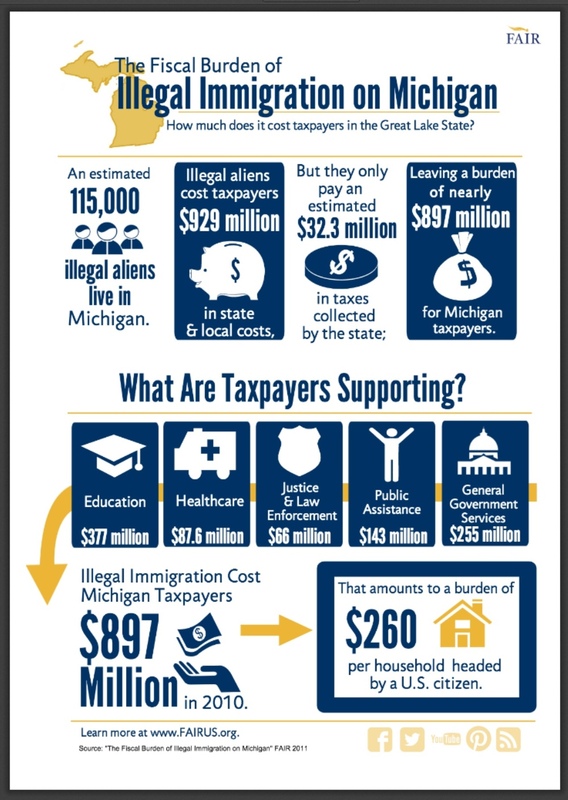 Just think of all of the additional money made available for things like eliminating the Michigan income tax if we didn't have to send any money to these schemps.